Warlock was the IIGS answer to the arcade classic Ghosts & Goblins. 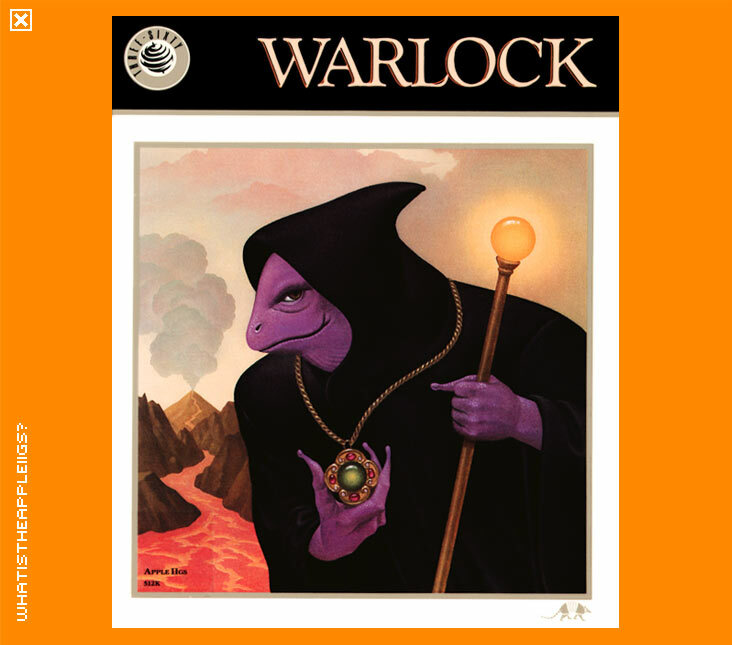 Released in 1988 by newcomer Three Sixty, Warlock is another creation of the French Infogrammes team and is a welcome addition to IIGS action gaming. 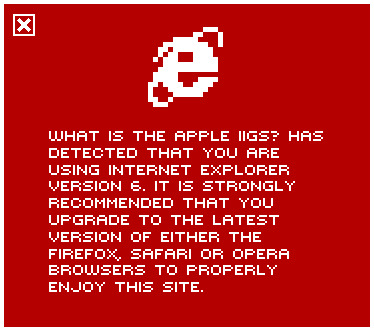 Played similarly to Ghosts & Goblins, a platform game, it involved the player to find all the ancient relics necessary to defeat the 'the Unspeakable One': the mastermind of the whole scenario. Some of your foes drop various power ups such as vitality (you're given one life with a set amount of health being determined on the difficulty level you set) power (keep an eye on your power, it's what allows you to shoot fireballs from your staff...once it's depleted, you may as well start again) armour (which decreases the amount of vitality you lose when hit) treasure (just increases score) and mystery (it's a good idea to jump over these generally bad power ups). Play can be had via joystick or the keypad with open apple as fire. Press down (5 on the keypad) on the various hotspots, even climbing up a ladder, to go back to an upper section of a level. I must confess, I didn't like Warlock the first time I played it, perhaps I was making too many comparisons to Ghosts & Goblins, but over time I came to appreciate the game in its own right.